Let's get going with our next Phase 8 in our “how to start a blog” series. I hope you are improving with your blogging following this step-by-step series of guide. Just in case you have missed my previously published Phase 7, it was about all those blogging resources I use on my blog which helped me to improve my blogging experience and growth from time to time. Wow! Overnight, you’ve made hundreds, maybe thousands of dollars. Money gets credited in your bank account while you nap. And what’s the secret to this? It’s “Blogging”. Started your own blog since you’ve heard it’s an easy way to earn money without sweating, but unaware of how to actually make money via blogging? Keep on reading! This handy guide will shed limelight to explore the simple yet effective ways to monetize your blog. No matter what niche your blog is, whether it’s a hobby blog, a personal blog or your business blog, making money with a blog is 100% possible! There are over a dozen methods which were used to monetize blogs based on the niche. Blogging on a free platform? Don’t expect an income from it. Below is a rundown on some of the strategies used by few of the famous bloggers. Don’t get depressed if one method doesn’t work out for you just have a try to other method and build upon that! From the name itself, you can easily guess how you earn money from your blog using this method. You get paid for every click a visitor makes on ads placed on your site. 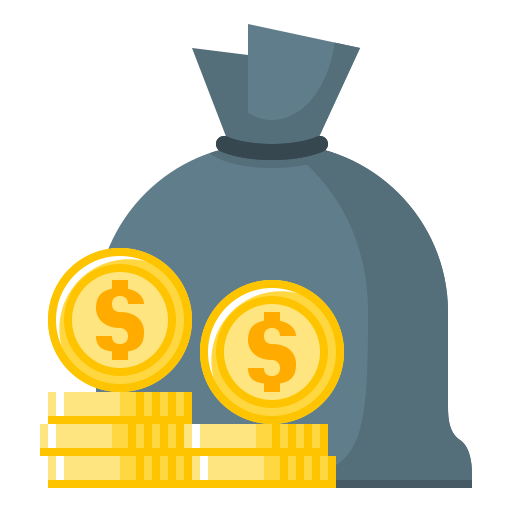 The profit you gain via Pay Per Click (PPC) ads vary depending on the amount of traffic your blog gets. These ads displayed on your site is dependent on your site content. Ad networks will display best-related ads based on your each content pages. Only a small percentage of visitors will click on these ads, so to earn a lot of money from them you will need a lot of traffic. The design of your website plays an important role in increasing the Click through Rate (CTR). There are certain parts of your website which are more valuable and gains more attention from your site visitors, so you can place the ads there to increase your CTR. Other than this, your blog theme also depends on it. There are types of themes like AdSense optimized which works best with CPC ads and another one is Affiliate optimized themes which are dedicated to working well with affiliate promotional stuff. So consider choosing the perfect theme for your blog at the start. For instance: To increase the chance of someone clicking your ads, consider putting ads at the beginning and end of articles are highly recommend. If on the other hand, you place these ads at the footer of the page where not a single person will scroll down to see them, then chances are less that you will get clicks on your ads. Google AdSense is the widely used PPC ads network worldwide. Creating a new account with Google AdSense is the first step to start monetizing your blog. Through this program, companies can promote their ads using Google Adword at a comparatively cheaper cost while website or blog owners can make money displaying those ads. In this advertising, everyone earns money and businesses get a chance to bring their products/services right in front of their target audience. While Google AdSense might not make you rich overnight, it's a simple and easy way to earn for amateur bloggers. Once you sign up for an account and get approved, you can use AdSense ads on your other blogs also and start getting paid. The other ads networks are also well known in the industry and I’ll be sharing the detailed guide on each of them in future. Tip: You can use keyword research tools to find high CPC keywords. So then you can write content about those keywords and get high value on your CPC/PPC rates. You can even find $50+ CPC keywords but not to mention that be sure to get high competition on those keywords. The Cost Per Impression (CPM) ad networks is a bit different from CPC/PPC. The earning on CPM ads are not based on per click but it is based on the number of impression from your site. Let me clear it even more. The cost per impression is the price on 1000 impression on your site. 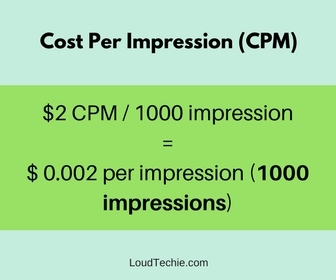 If your advertiser is offering you $2 CPM it will be $0.002 per impression. It is not something you can use on any regular blog with a limited amount of traffic. But these CPM ads are perfect for viral content blogs or entertainment blogs with thousands of traffic per day. Even with CPM ads things like theme optimization and ads placement is required. If you are using affiliate optimized theme and using CPC or CPM ads on your site then you won’t see any good results in your blog income. It doesn’t matter whether you’re an amateur blogger or a veteran blogger, you might be aware of the method “Affiliate Marketing”. Affiliate Marketing is a great way to monetize your blog just by placing affiliate links to your content. Pay per referral program will add dollars to your wallet in a second! Depending on the advertisement program you are using, you can look for affiliate programs and refer your readers to that program based on your studies or experience. From cash back shopping portals, to survey sites, to online courses, to job placement services, every item on this list will pay you to refer your site visitors – anywhere from $0.10 to $5,000! In affiliate marketing, you have to promote a product or services to your visitors so that you could earn a commission as a reward from the company you are affiliated with. For your affiliate promotion you can use any medium such as text links, Image hyperlinked affiliate links, sharing your affiliate links on your social media updates with your followers and friends or it could be sharing your affiliate links using emails. So, in short, there could be unimaginable ways you can use to promote your affiliate links. But for better conversion with your affiliate marketing one needs to pick a best-suited niche for his blog. To know more about profitable affiliate marketing niche without wasting your time on starting with the wrong affiliate niche you can read this article here. For Example: If you have a fashion blog, you could research affiliate programs that contain products related to fashion field (Cosmetics, Fashion Boutique etc.). 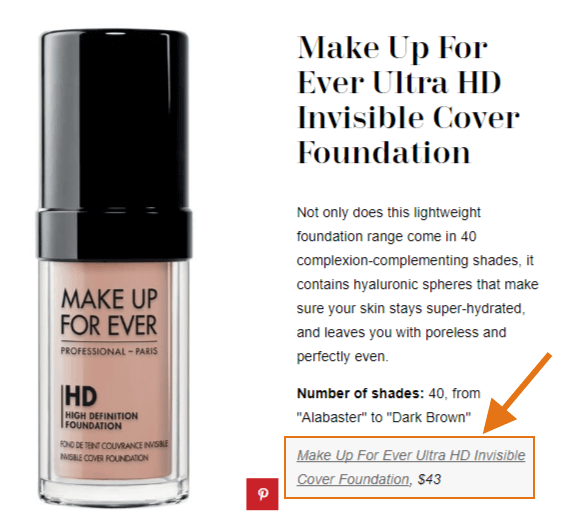 If a company wants bloggers to advertise their new makeup product, you could write a blog post with a title like “How to Choose the Right Cosmetics for Your Skin?” and at the end of the post, you could promote their products with your affiliate link. With this type of advertising method, you can get a commission with every sale that resulted from your referral links. You can use affiliate marketing via ad networks like Amazon Associates or else you can also create private memberships with other advertisers. There is a long list of affiliate marketing strategies you can start with. Yeah! You may also be aware of this one. As smartphones are kind of basic needs these days. In urban cities, you can easily find more than 70% users are using smartphones in their daily life. They play with it, they read with it, they sleep with it, they connect with it and they repeat with it. Smartphones are nothing without apps in it. And the app's creators do earn a lot with them. But how does anyone make money with free apps? Selling your idea to a company to get sponsorship for an App. 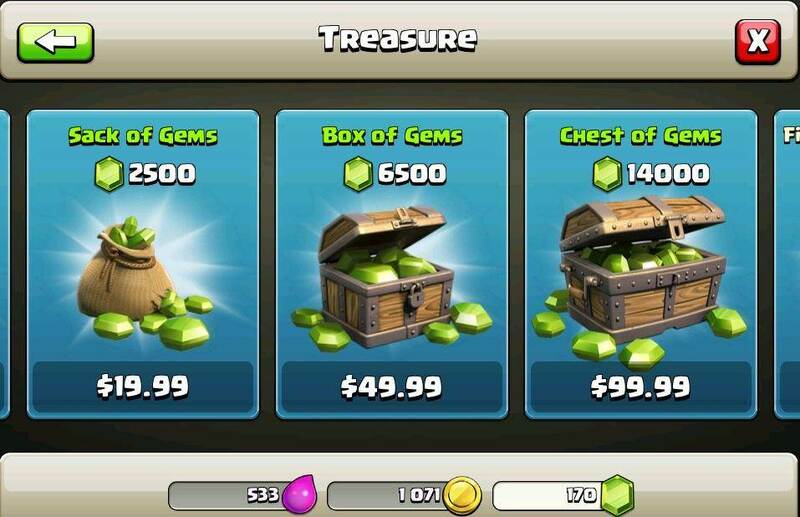 In-app Purchases: In gaming apps, there are always options to buy gems to unlock some features. A way to make a multi million business out of a smartphone app is "In-App Purchases", you may have seen it in many games, music and video streaming apps. Who charges for some extra features within the App. This is one and only strategy used by almost all the gaming apps. In-App Purchases of a game "Clash of Clans"
These are just the top methods to make money using free apps there are many more to know about. Writing eBook is very popular nowadays! With the ever-increasing eReaders such as the Apple iPad and Amazon Kindle, selling your own digital products online is a great way to earn money via blogging. You can also insert your affiliate links inside your eBook’s content for in-ebook purchases. You could write an eBook about almost anything related to home interior design, tutorials, online courses etc. You can sell your digital products via the Apple iStore or on Amazon. You can sell it directly on your website as well! This way you get 100% of the sale price and traffic to your website. Yes! 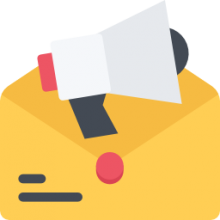 You can earn more money via email marketing by sending tricky newsletters to subscribers with interactive call-to-action! The event-based or ultimatum call-to-actions are the best ones for better results. When people register to become a member, you get their email address. When people sign up to your weekly newsletter, you get their email address. You can also share your subscription page as a direct link on your social media networks or in your automated messages. When a new member subscribes to join your list, they are redirected to a thank you page that would ask them to check their email and confirm the subscription. After confirming and verifying the subscription, you can send daily/weekly newsletters and emails to your subscribers; by this, you encourage your site visitors returning back to your website. There are always ethics to follow even for email marketing. This is not something you send an email and get paid. It always depends on how interactive, engaging and informative your email content is. 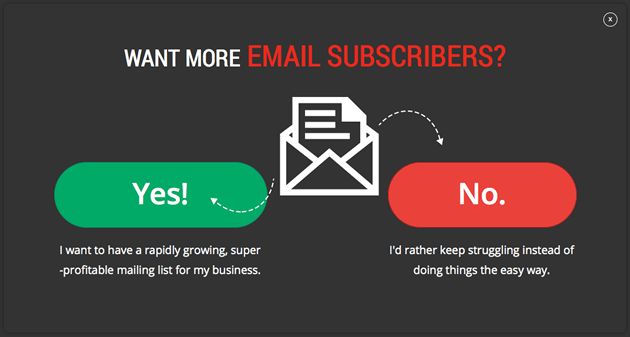 Doing it the wrong way can get you banned by the subscriber and your email marketing services. Weekly emails and occasional emails are the most engaging ones. You can write detailed reviews about products and publish them on your blog. Make sure to review products that are only related to your website niche, as you are catering to your target audience. There is no value writing a detailed review about a gardening tool if your website is about SEO trends. Note: Regular sponsored or paid reviews can ruin your blog content quality (past experience). Don't get too much attracted towards paid & sponsored posts. Maintain your content quality. If you ask me I never do sponsor posts on my blog. But sometimes I do review posts on tools or services but only for which I can vouch for. As I don’t want to mess things up by misguiding my readers. So you can consider it as a tip or a warning. According to many studies, Google doesn't like paid reviews. The reviewer and the brand both can be affected by it. I personally experienced the bad effects of doing too much-paid posts and guest posts in my previous blog. And never recommend anyone for doing paid post reviews. Blogging without good results can make you lazy which in results you will ask others to contribute to your blog. Many think that just by publishing content on their blog consistently will get them ranked on Google. But this can ruin your blog quality and you can get penalized for violating Google's rules. My suggestion: You should do this once a month. Avoid doing it regularly. This is one of the most trending blogging income source these days. Top marketers, bloggers, and other experts are creating their own online courses to sell out among their readers, followers and new visitors. And trust me they are killing with it. Melyssa Griffin has made more than $250k in a month last year in 2016. Pat Flynn has made more than $240k in a month this year July 2017. And both these incomes are just from online courses. So can you imagine how great it can be to create and sell your online courses? Creating online courses and tutorials would be a great idea to earn money by charging people a membership fee (a fixed amount). These courses could be about anything and could include podcasts, videos, tutorials, etc. Present your talent as an Online Course to your visitors. For Instance: If you’re a great programmer or website designer, you could set up a one-week online training on how to be a better website designer. Make sure to make videos instructions to describe all the coding techniques that you might need, strategies that help achieve excellent user-friendly web design etc. While creating video instructions for your online course, keep in mind that the information that you offer to your paying customers should be different and more insightful compared to any free content that you offer on your site. As like paid memberships, private forums can be created to cater the needs of your site visitors. You can simply add a forum inside your WordPress blog using WordPress plugins. Creating a community within your blog can also drive huge organic traffic to your blog. Forum members can pay a monthly fee to access the forum, join communities and interact with the other forum members. There are many paid forums out there, so to make the members access your forum for a fixed fee, you need to provide excellent, informative content that isn’t available elsewhere. One of the most recommended Affiliate marketing forum is STMforum. But unfortunately, they won’t let you see their threads without signup. Inside STM you will find like-minded people, can connect with marketers face to face, will get to know about many case studies, guides and technical help, outsourcing, managing work/life, managing your money and more. Now you may know why is it so restricted and paid. 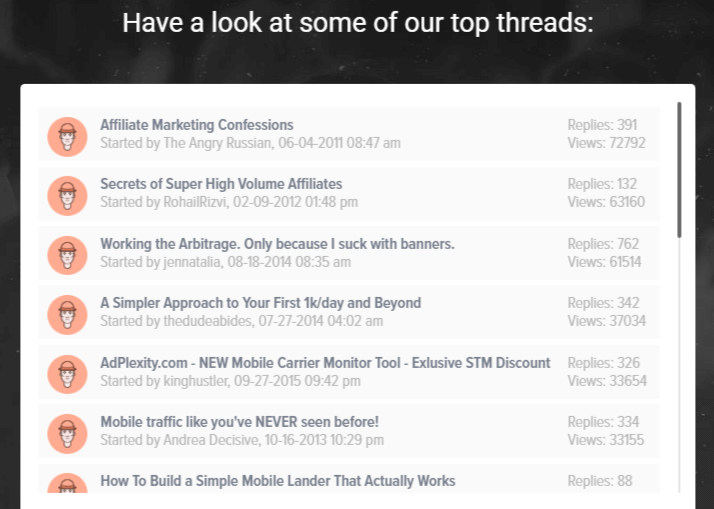 It is the most active affiliate marketers’ community out there. You don’t have to be affiliate marketing expert for joining STMforum. Based on your niche, you can start selling ad space to advertisers once you get a certain traffic volume. As mentioned earlier, there are certain places on your website where you will receive more attention from your site visitors. To let advertisers approach you for ad spacing you need to create an advertising page on your website or sometimes they approach you by themselves it depends on your site traffic. Ad spacing is also known as “Banner Ads” in your advertising page you should mention about all possible ad spacing sizes available and prices based on time duration. So that only the interested advertisers will contact you. You can sell these ads spaces to advertisers to promote their products/services. By this, you can add more dollars to your bank account! Note: You can use heat map feature to know more about the places on your site where you get maximum clicks and impressions. Another interesting way to make money is by offering free and paid consultations on your blog or on your social media profiles like LinkedIn. Wondering how you’ll make money from the free consultation? Let’s assume you are expert in SEO, you will offer a FREE 30-Mins consultation to your readers or visitors. When a visitor schedule a consultation meeting, you are going to analyze his website and let him know what things need to be fixed and how it can affect your website or business growth. And you will also let him know that this was just a regular analysis and you will soon go through a deep analyzing on his website to know more about the issue and fixes. That way if that person like your presentation and the things you analyzed in your free consultation he could turn from a visitor to a client. That way you can get business out of your free consultations. You can use online tools like Calendly to schedule meetings/consultations with your visitors. Trusted by brands like LinkedIn also can integrate with services link MailChimp, Gmail, Slack and more. Note: For this one should be an expert in his field so he could be a better consultant. Pay Per Play (PPP) this may be a new advertising to you but it’s not. Audio advertising is another interactive method to communicate with your consumers and promote your products. It is also known as cash per play (CPP) in which an audio advertisement plays on the website. And the name “pay per play” is generated as advertisers pay based on per audio ad played. These ads are auto set to play on page load and visitors has no control over it. It can’t be stopped. Although these ads have 100% conversion rate they are also disturbing for some visitors which can lead to instant exiting from the website and this can affect your website bounce rate. There is another audio advertisement method trending these days “Podcasting”. It was started to be as content marketing strategy it is also used ad an audio advertisement. I believe this one is a better form of audio advertisement as the visitor have control over it when to play and when to stop. And there is no forced advertising with podcasts. You can create podcast to introduce new tools & services and provide a link below in the form of “text link”. Or you can ask them to visit a specific page on your blog which can be a lead generation page, subscription page or a page with affiliate links in it. This is not for everyone. I mean anyone can try it but I see only experts with loads of following host webinars. These are live workshops held online only. You can say virtual workshops for those who cannot attend your regular workshop due to long distances. You can interact live with your customers listen to them via the chat box. And they will hear you talking about things that you are expert in. These webinars can be of various types like live interviews with experts, doing live conversations with another expert in the same field, or just sharing your views and strategies with viewers. Webinars are done using live webcams mostly. How you make money using webinars? Recommending premium resources in your webinar. Charging for virtual seats to attend the webinar. Offer freemium resources to download and turn your viewers into subscribers. Inform them about any specific event. Share a review on your product launch. Including pop-ups and lightboxes here in a separate point because there is something else I want to tell you about these pop-ups. They are annoying and everyone knows about it. 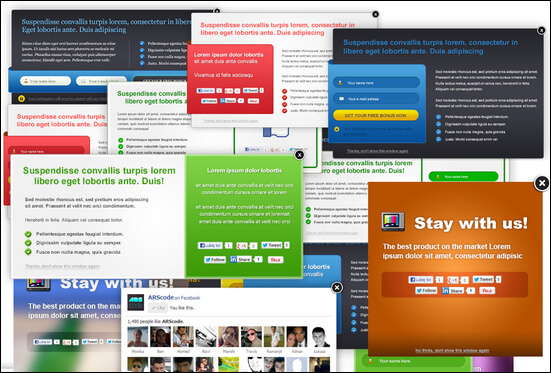 A website having too many pop-ups can get penalized by Google. And if not it can affect your website bounce rate badly. Ad blockers are supportive when it comes to pop-ups. These pop-ups sure do make money by forcibly popping up on every screen unless you have ad blockers installed. But what I want to tell you about pop-ups and lightboxes is that they don’t really need to be ads and product sales related only. This is another interesting thing many social marketers are using nowadays. As we discussed already in affiliate marketing that you can share your affiliate link with your social networks and followers. But do you know what other strategies are ongoing within social media to make money? Ahhh! I bet you don’t know about all of them. Build a private Facebook group and share exclusive offers using your affiliate link. Promote your affiliate products with your social network. Sharing newsletter CTA with your social network to get more subscribers. Monetize your YouTube channel & videos. Know more about your online audience. Sell your digital products like ebooks & online courses. Instagram is doing well with selling out handcrafted items. Pinterest has more than 80% female users, can be used to sell out gender-based products. Note: These strategies won’t work without a decent social media fan following. This is another CPM based program. You can place surveys and polls on your own website from different companies & brands and get paid for it. You may need to sign up to these sites and choose best surveys related to your niche. You can also contact companies with an offer to display their surveys on your site. Are you an expert with talent like designing, marketing, speaker or anything in your field for which you can offer services to your visitors? If yes, you should create a services page on your website with all the information about your work and services you provide. This way you can attract clients and let your random visitors know about your talent through your blog site. You must have seen almost all tools and services having a blog page. Actually, it is required with the increasing competitors in the digital world. You won’t see much services websites without a blog page. The blog page is used to update content time to time which leads to organic traffic and insight about your product and services. You can share case studies about your product or interviews with experts about your product. But creating a services page on your blog site is another step in the same direction. The way brands are creating a blog page on their websites you can create services page on your blog site. And provide services you are expert in. This is one easy way to market your services on your blog to make some extra income out of your blogging. This is something I wish you won’t have to go through. Its title says all about it. If there is a time you decided to give up on your website due to any reason you can sell your website on auction. There are so many websites which can let you list your website for sale so that other members can bid on it. You can get a decent amount from sell-out from your website. I have seen many websites sold out for like $$$$$ figures. So I think giving it a try is worth as you must have spent years of work on it. People buy websites on auction because there are so many lazy ones which can’t think of starting a website from scratch so they would for buying a running website on auction. I once sold out my friend’s viral content blog on Flippa for around $1k. But there is something more to it. Do you know some people build a website just to sell it out on auction? Yes, they do. I have seen many people building micro niche blogs and let it age for 1-2 years and when they start making some decent amount they sell it for high prices on site like Flippa. And with the earned money they start building, even more, micro niche blogs for auctions. Hope you've enjoyed this guide on make money from your blog. There are many other popular ones that tend to generate a lot of income for a lot of popular bloggers! In this Phase 8 about “Blog Monetization”, I have shared a list of 18 ways to make money from your blog site. Sure there are more to it and I’ll be back with more to my list. Don’t just read my post and dream about making money from your blog! Take the right action on what we’ve been discussing in this post and put it into action. Start earning more money without satisfying the comfort of your own home! If you like to share any other way to make money out of your blog I would love to hear it. You can share your ideas and thoughts on it using the comments section below. Don’t forget to share it, if you find it interesting to read. In my next Phase 9 on “how to start a blog”, it will be a detailed guide on different content marketing strategies for your content promotion. It will be a perfect guide on content promotion checklist. So stay tuned for my next Phase 9. It will be a bomb for everyone looking for ways to promote their content. Affiliate Disclosure: This page contains some affiliate links which means if you make a purchase using my affiliate links I will earn an affiliate commission. It is not going to cost you any extra money in any way. Not secret but yes helpful. Make money from Blogging is definitely possible. Many webmasters have started to discourage newbie bloggers. They say like don’t waste time on it. Only a few like you really torches light. Thank you for this post. Blogging is one struggling job. But if you did it perfectly that struggle will be your way to everything. Blog monetization takes time, as a blogging newbie you can’t make your living on it. First thing is to attract some visitors to your blog. After that start doing some affiliate articles but that also should be problem-solving not only promotional. Thanks for stopping by. Keep visiting for more updates. WOW, What a great article is it! I do blogging but don’t know how many ways to make money from my blog. thanks for your pieces of information. Hi guys, making online money is no joke and it is also not very difficult but yes you have to work and be patient before you start earning money from your website. You also need some good skills in web designing and affiliate marketing but for the beginners there is an easy solution to make their website monetize without spending extra cash on their website. I recently come across a website named revglue which is offering redesign and UK base affiliate data for any website. You can check what they are offering here at revglue.com/bespoke for more details. Anyhow this not a consistent source of money and the number keeps changing. So you have to keep at it to make healthy profit. I agree that it is a struggling job but when you attract a healthy audience to your blog then it will become relatively easy for you to maintain it. So i thank you Alok for sharing this detailed info on monetizing blog and good luck to the new bloggers.